Female to female Dupont wire with 1P-1P pin header. These Dupont wires measure approx. 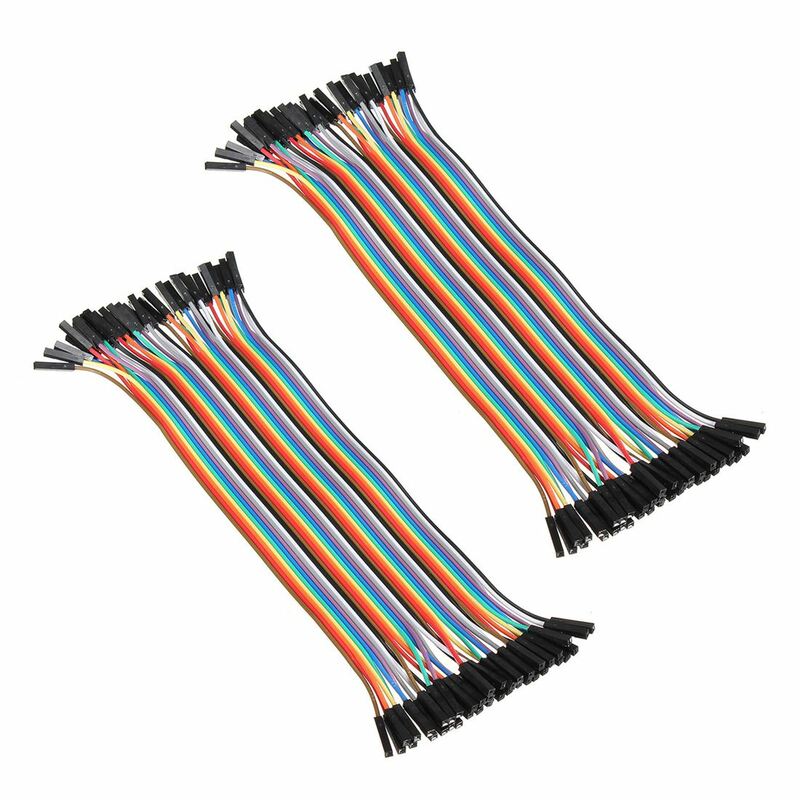 8.3 inch / 20 cm in length, they are compatible with 2.54mm spacing pin header. 40 x 10cm 2.54mm 1P-1P Male to Male Breadboard Jumper WireSpecifications ..
Mini 83x55mm Breadboard for Solderless Development 400 Tie points. Self adhesive tape is inclu..
3.3V / 5V MB102 Breadboard power module +MB-102 830 points Solderless Prototype Bread board kit +6..
40 x 20cm 2.54mm 1P-1P Male to Male Breadboard Jumper WireSpecifications ..
40 x 10cm 2.54mm 1P-1P Breadboard Wires 10cm Female to Female for Electronic DIYSpec..